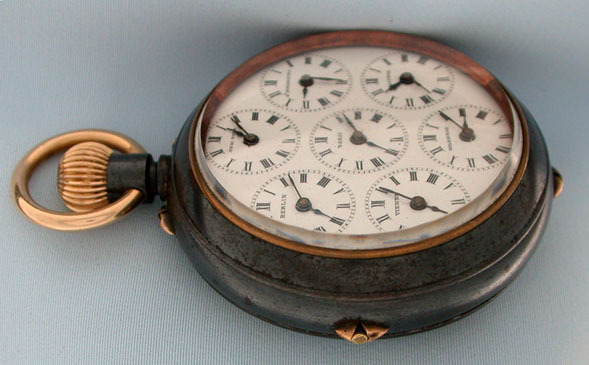 Scarce Swiss gunmetal double dial world time calendar watch circa 1890. The front white enamel dial with indications for the day, date, month, and aperture for the phases of the moon. 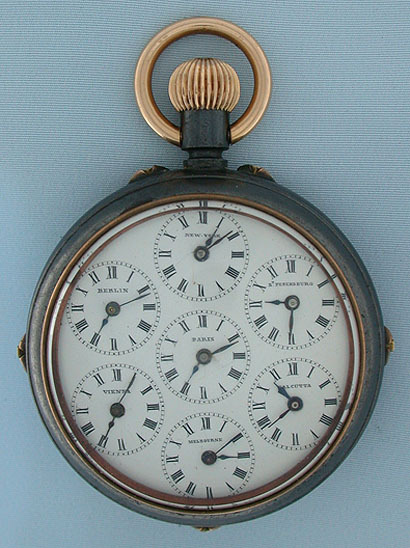 The rear enamel dial (hairlines and chips) with dials for the time in 7 cities around the world. 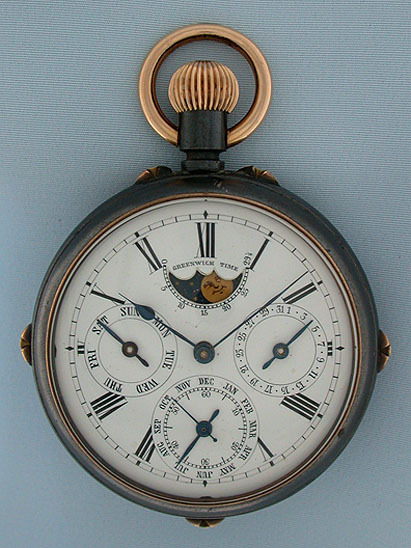 Gilt 17 jewel lever movement.